COMING SOON: WATCH clips of this episode on YouTube! – Listen to our second interview with Reggie… 7 months later. More “On Location” New Beginnings Chiropractic Weekends Interviews from some of our Profession’s Finest! note: names will link to interviews as they become available. Arno Burnier, Jason Deitch, Billy DeMoss, Kevin Donka, James Dubel, Gary Deutchman, Skip George, Reggie Gold, Jay Handt, Bill Henry, Ernie Landi, Tony DeMarco, Peter Morgan, Jeanne Ohm, Barbara Sanoudis, Jon Schwartzbauer, Fred Schofield, Liam Schubel, Sam Selimo, Gary Street, Chuck Ribley, Armand Rossi, and Robert Tarantino. 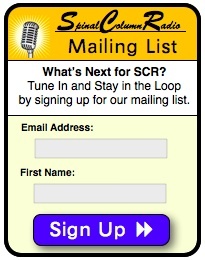 Spinal Column Radio, episode number thirty. 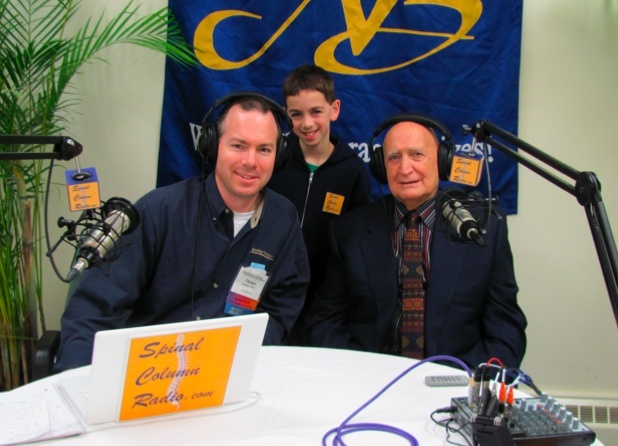 Coming up next on Spinal Column Radio — An interview with chiropractic legend, Dr.Reggie Gold. Well, today on Spinal Column Radio… I have the distinct pleasure of sharing an interview with you from our New Beginnings Chiropractic Weekend, Fall 2010, collection that was an absolute honor to conduct. Over the past 115 years, our chiropractic profession has produced many leaders, but perhaps none as influential as the subject of our interveiw on Spinal Column Radio today, Dr. Reggie Gold. Now for those of you who are not chiropractors, please understand that EVERY chiropractor on this planet knows of Reggie Gold. They either love him or… well, they don’t. Regardless of what camp a particular chiropractor subscribes to though, it’s undeniable that Dr. Reggie Gold has had a tremendous impact on our profession…. an impact on chiropracTIC that will continue to live on long after he’s gone. Dr. Lamar: Well, today on Spinal Column Radio, I have the distinct priviledge of having a conversation with a pilliar in the chiropractic profession. A pilliar that has not only postively impacted thousands of chiropractors in his lifetime but has also been a source of controversy for some. Why? Well, simply because of his unwaivering character of presenting what he believes and knows to be the truth about chiropractic. This man has spent a lifetime perfecting, distilling, and simpflying his chiropractic message. He obtained his Doctor of Chiriopractic degree from Palmer School of Chiropractic in 1957 and then went on to achieve the Doctor of Chiropractic Philosophy degree shortly thereafter. He’s been described as one of the most influential chiropractors of our time and is a leading authority on chiropractic communications. Over the course of his career he has been presented with numerous awards for his many contributions to the profession and for his academic achievements. He has served on the faculty of New York Chiropractic College and Sherman College of Straight Chiropractic. 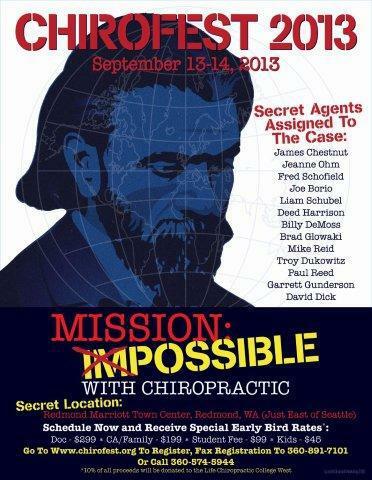 And he has presented his innovative thinking and groundbreaking programs at Chiropractic Colleges around the world. In addition he has lectured at U.S. medical schools from Mount Sinai in New York to Stanford in California as well as overseas medical schools in Capetown, South Africa — Melbourne, Australia — and Cuszco, Peru. 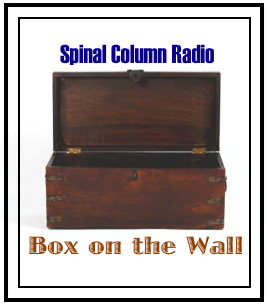 Ladies and Gentelmen… It is my pleasure to welcome to Spinal Column Radio… Dr. Reggie Gold. Dr. L: Well, I have to say… This is a high honor to talk with you… just kind of get over my jitters. Reggie Gold sitting next to me! Never thought this would happen. I had the opportunity and the honor to hear you speak in Seattle just recently and you said some things that rocked my chiropractic educational upbringing. Yet the things that you said resonated deep within me. You asked right at the beginning… you said, “What conditions is chiropractic good for?” And then you quickly and sharply answered, “None!” I was like, “What?! What’s this guy saying?” Can you expand on that part? Dr. G: Yes. As long as chiropractors focus on treating disease, curing disease, getting sick people well… people miss the substance of what chiropractic is about. We focus on health when we should be focusing on all the other benefits of being subluxation free. Because every time you mention health people lock you into that and they don’t go see a chiropractor until they’re sick. Dr. G: True. Well, the point is when the body starts to go wrong very often it shows no symptoms for 20 or 30 years. And people then don’t go to a doctor of any kind until they have symptoms. So, chiropractors really should be stopping that attitude, teaching people that when they have a vertebral subluxation is when they need the chiropractic care, long before the symptoms occur. Dr. L: You know, your main message if I could distill it down, at least from my point of view (and I remember this as a student when I first heard you speak back in the early 90’s — and this was on a campus that you were once banned on. But, now you had come back so I mean it’s changing all the time apparently)… But, your main message, as I recall back then, was “without a vertebral subluxation you are always better off than you are with a vertebral subluxation.” Period. End of Story. Dr. G: Right. That’s true. Dr. L: That’s the Reggie Gold Message. Dr. G: Yes. I don’t want you to come see me or any other chiropractor for the treatment of a disease. 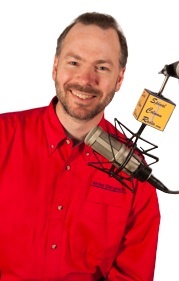 Dr. L: Dr. Gold, our show on Spinal Column Radio appeals to chiropractors and non-chiropractors alike. Let’s pretend for a moment that someone, say a non-chiropractor, stumbles upon our interview because they’re suffering with back pain let’s say. And they’ve heard that well, chiropractic is quite helpful with that. What would you tell that person? Dr. G: I’d give them the same message that I give to everybody. That chiropractic care is not just for sick people. It’s for all people under all circumstances. People don’t know they’re sick until they get symptoms. That’s when they seek help. They seek medical care or chiropractic care to treat and cure the symptoms and very often that means waiting until it’s too late. A single cancer cell may develop into cancer 30 years later, but by then it’s too late. Dr. G: But if you leave them subluxated, they’ll possibly get sick. And more important than that, their whole life is effected by the subluxation. It doesn’t only allow you to get sick. If you have a subluxation it stops the efficiency of the body on living up to its potential in all areas. Dr. L: I have a question here. I want to get kind of into the controversial aspect if you don’t mind. Dr. L: What is it… You’ve just described a message that, to me, is so crystal clear and plain. But what is it about your message that is so attractive to some chiropractors but yet so offensive to others? Dr. G: I don’t understand why it should be offensive. Frankly, every chiropractor wants a bigger practice and you don’t get a bigger practice by keeping people away until they are sick. You get a bigger practice by teaching the public to get their spines examined regularly for vertebral subluxations. Vertebral subluxation limits the ability of the human body to function perfectly. Which may eventually result in sickness. It may result in death without sickness. Today, I wonder how many people walking along the street, smiling happily, suddenly drop dead of a heart attack… with no symptoms before it. Dr. L: It happens all the time. Dr. G: Yes. Those people following the common chiropractic message don’t go to a chiropractor for a checkup. Dr. L: It’s true. Yeah… well, heart disease is the number one cause of death in the United States. Dr. G: A heart attack. Dr. L: … from a heart attack. Moving, kind of, on into a little bit deeper into the controversial aspect… And I touched on this just a second ago. I said that, I understand that some chiropractic colleges have actually banned you from stepping foot on their campuses. Dr. L: Again, why is that? Dr. G: Because if all chiropractors speak about my message, we’re actually encouraging everybody to go and see a chiropractor. And the medical profession doesn’t like that. Those chiropractic colleges that are seeking the approval of the medical profession are offended by my message. It’s costing them brownie points, they feel. Dr. L: So, from a chiropractic college’s perspective, chiropractic is really for not the entire population but just certain people that fall under certain algorithms or what? Dr. G: Yes… well there are certain chiropractic schools that teach at that level. That people should only go to a chiropractor when they have symptoms. And I think people should go to a chiropractor as soon as they’re born. And keep going for the rest of their life to have their spine checked. Dr. L: … asked you to adjust him. Dr. L: Can you tell me that story? Dr. G: Well, it’s kind of a funny story because I said no. Dr. L: I remember that. Why did you say no? Dr. L: And if I recall the story correctly, wasn’t that in the school’s cafeteria? Dr. G: Yes it was. Dr. G: Well, actually what I was doing was showing off my knowledge of what he had taught me. Dr. L: Oh I see. Ok, you’re just turning the tables there. But when… so when you shared that story though a little light bulb went off in my head. And that’s the difference between getting adjusted versus getting checked. Dr. L: And that’s a huge shift for somebody like me and I imagine a lot of chiropractors. We just… I always kind of held the adjustment up as being the pinnacle of what we do but in reality, it’s the checking. Dr. G: Yes. The checking is much more important. Dr. G: Or a machine. Dr. L: Or a machine. This is true. So, can we talk a little bit more about that distinction? Like getting adjusted versus getting checked? Dr. G: Well, it’s very simple. The checking is to see if they need an adjustment. If there is no evidence of vertebral subluxation, you can’t adjust anybody. I mean, putting your hands on their spine can only cause damage if they don’t need an adjustment. So, checking is absolutely vital. Not only a pre-check but a post-check. You check the spine before delivering an adjustment and then check it after something happens to see exactly what happened. The purpose of chiropractic is to bring about the correction of subluxation. The question is after you have done what you do, did it correct subluxation? Dr. L: Correct. How often should somebody get checked? Dr. G: Well, really it would be great if they could get checked everyday. Maybe 3 times a day, but that is practically not possible. I would have my spine checked… I do get my spine checked at least once every week. Dr. L: That’s a good place to start. Something tells me from the B.J. Palmer story that you are not the typical student. Dr. G: I hope not. 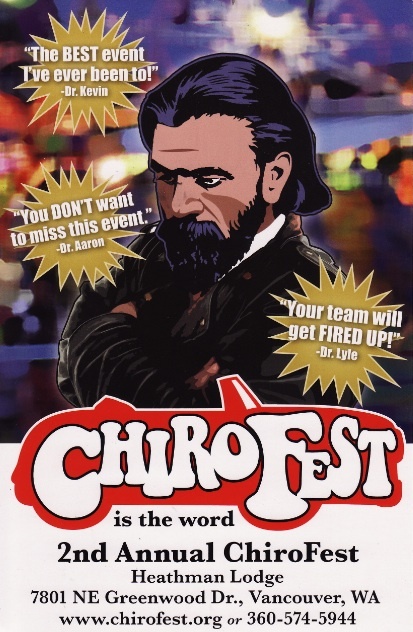 Dr. L: I mean you have… Let me just phrase it this way: What event or experience in your life allowed you to see chiropractic, maybe a little differently, than you were being taught? Dr. G: I don’t really know. It was just putting things together that people said, taking things out of the usual context and examining in the light of my common sense. And if they made sense then I go ahead with it. If it didn’t make sense, I challenge and ask questions and I was fortunate at the Palmer College where I went to school at that time, lived the greatest chiropractors in the world including B.J. Palmer himself. So I had access to the best information. It was the best place to find the truth. Dr. L: Palmer School of Chiropractic. Do you remember the epigrams on the walls? Dr. L: Is there a particular epigram that you remember that’s still kind of… you think about often? Dr. G: Oh, they’re many that I remember. Particularly one in the men’s room. Dr. L: Found in the men’s room of Palmer School of Chiropractic. Dr. L: My goodness! “B.J. laid out the philosophy of chiropractic, but he himself practiced medicine because he didn’t relate the philosophy to what he was doing.” That’s something that you said. Dr. G: Right. In those days, chiropractic wasn’t fully understood even by B.J. Palmer. In the years since 1961, when B.J. Palmer died, until today chiropractic has made great leaps forward in understanding what was behind the philosophy. B.J. didn’t complete the philosophy. He brought it just so far. Unfortunately in 1961, he died and then I for one took over the growth of the philosophy from that point to where it is today. And today, all the people viewing this tape or listening to the sound of my voice and your voice will contribute something to the understanding of chiropractic. So 20 years from now, chiropractic philosophy will have developed much farther that it has today. And 20 years after that it will have developed again. Chiropractic is a living philosophy and it gains momentum each year. Dr. L: We’re here at the New Beginnings Chiropractic Weekends and really this conference or gathering is… it’s all about chiropractic philosophy. That’s the main reason we’re here. So, the question I’ve been asking a lot of people behind these microphones is why is chiropractic philosophy so important? Dr. G: Well, because chiropractic… chiropracTORS are the only people qualified and trained to locate and find vertebral subluxations. Physical therapists are not trained in it. Medical doctors are not. If it was not for the chiropractor’s understanding the philosophy of their own profession, then chiropractic would die. The growth of the profession, the holding of the philosophy is the one thing that keeps chiropractic alive. Dr. L: Can we talk a little bit more about B.J.? Dr. L: Now, you know, I graduated in 1995 and I remember sitting for the California State Boards and that was held at Palmer West. And in the hallway there was a word. And I don’t even… I’m counting on you to give me some information here. The word was “spizzerinctum”. And I’ve never seen the word in my life. It wasn’t taught at LACC. And ironically I asked a lot of the, you know, students or I guess graduates that are waiting to take their boards, “What does spizzerinctum mean?” …Nobody knew and that kind of struck me as odd. It wasn’t until many years later that I met an old Palmer grad and he gave me some information on that but can I get it from you? What does “spizzerinctum” mean? Dr. G: Well it means chiropractic enthusiasm, energy. Where it came from I really don’t know. By the time I got into chiropractic it was already an accepted term that B.J. himself used frequently. And it meant keeping up your enthusiasm for chiropractic. Dr. L: Do we know if B.J. came up with the word? Dr. G: I don’t know. Dr. L: We don’t know. But it was a word he liked to use? Dr. G: He did, yes. Dr. L: And then people have shortened it to spizz? Dr. L: Did B.J. shorten it to spizz? Dr. G: I don’t… I don’t think so. At one of the colleges I taught they had a Spizz Night for the new students at school. Dr. L: Actually at Sherman, you teach at Sherman right? Or used to? Dr. G: I used to, yes. Dr. L: You were on faculty at Sherman? 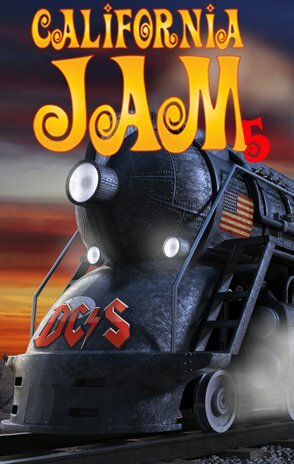 I was doing some research on Sherman and noticed that…. It might be a relatively new publication but the student’s newsletter or whatever they call it is called The Spizz. I thought that was funny. Dr. G: Meaning the enthusiasm. Dr. L: ChiropracTIC. Tell me about chiropracTIC for a say a lay person that’s listening. What does that mean? Because we’ve been kind of throwing that around here. Dr. G: Well, we emphasize the last syllable to point out that we are talking about the profession itself, not the chiropracTOR. There are two endings, TOR and TIC. And what is right for TIC is not necessarily the best for the chiropracTOR. Dr. L: You know, I think that is a concept that escapes a lot of people in the chiropractic profession as well as in a lot of different professions. Dr. L: And, you know, how often are people looking for the quick buck at the expense of sullying the name of their profession? Dr. G: Absolutely! That’s true. It’s true in medicine. It’s true in dentistry. It’s true in chiropractic. It’s true in accounting. Dr. L: Talk to me… again, this was not something that was taught at my alma mater. Talk to me about “The Big Idea.” What does that mean when B.J. talks about the “Big Idea?” How would Reggie Gold describe what that means? Dr. G: I don’t think he was talking about anything specific. People are asking me what do you mean by the “Big Idea?” I think, and I’m not sure about this, but I think he meant that when you are studying anything get the essence of what it is and focus on that. Get the “Big Idea” and all else follows. So when you are studying chemistry, don’t try to memorize valences just understand what causes valence: how they work, how they relate to each other. So, get the “Big Idea,” the principle rather than the actual uses of it. Dr. G: I think that’s what he meant. Dr. G: Now, many people disagree with me on that. They think that B.J. had a very specific idea in mind. “Get the Big Idea” they say meant to him “get the idea that the innate intelligence is supreme.” That it runs the body. “Get the Big Idea” that the body works from above down inside out. And those principles are true but I really don’t think that’s what B.J. meant. He could of meant either one. Dr. L: Sure. We may never know. Dr. G: Oh it was a method of collecting fees in chiropractic. A method that I learned about while I was still a student but didn’t put it into practice until I’d been in practice maybe for a month, two months and I suddenly realized that we’re putting a price on something that is so vital that people die without it. And then we had no right to put a price on it. We can’t deny people something that is their birthright. So, that is why I switched to “The Box on the Wall” practice and all of the years in practice I practiced by that method. Nobody was told what to pay or what is expected of them to pay. They were invited to pay according to their means. And I had one person tell me, in fact he was the heavyweight boxing champion of the world. He came into my office one day and I adjusted him and I told him about the fee system. And he said, “Well if I better pay this what it’s worth, I’d fill that box.” And I said “Thank you.” What else do you say? Dr. L: The box on the wall, was it… did checks go in there or was it mostly cash? Dr. L: There you go. Would the box in the wall still work today? Dr. G: I know several chiropractors who are using it very successfully. I think, frankly, it’s the best method. If I were to go back into practice this afternoon, I’d go back to box on the wall. Dr. L: Oh! That’s what my notes said. That’s how I interpreted it. Dr. G: Well, everybody uses that fee system. Dr. L: Well what I mean is we’re using a system that is really allopathic in that if you are expecting somebody to come in and get checked on a regular basis… I mean how many people can pay a doctor’s fee for you know once a week? Dr. L: For a medical fee? Dr. L: No it’s much higher than that. Dr. G: Well, I don’t know really. I know what the chiropractors are charging. Dr. G: And that probably averages out at $40 per person per visit. Let’s say there are 3 kids in the family, a husband, wife and 3 kids. What does that mean? $200 a week? Dr. G: And people can’t afford that for the rest of their life. You’re asking them to pay more for healthcare then they do for rent, food, everything. Dr. L: So the box in the wall kind of takes care of that problem. Dr. G: Of course. I usually hear things like “Well supposing people don’t pay their fair share? Supposing somebody has lots of money only pays you $5 every time they walk into the office with 3 kids and they all get adjusted? Why should we work for just $5?” I don’t work for the money. Dr. L: What do you work for? Dr. G: The sheer joy of what I’m doing. Spinal Column Radio would like to remind you that true health comes from the inside out — not outside in. As such, the content of this podcast, along with the show notes and related links, is not intended to cure, diagnose, treat, or prevent any disease. But, instead, is meant to inform and inspire you in asking better questions regarding your health. Since the circumstances surrounding your particular situation are unique, you are encouraged to consult with a Doctor of Chiropractic — or other health care practitioner of your choosing. 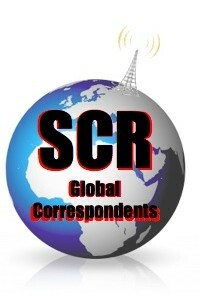 Next time on Spinal Column Radio, more with Reggie as we continue with part 2. Plus I’ll share a back story leading up to this interview that will amaze you. That’s next week. So, until then, for my son Logan, tweaking the knobs on the mixer board, this is Dr. Thomas Lamar, your podcast chiropractor.